Christopher J. Bourgeois is a partner in Donohue Patrick & Scott, PLLC. A native of Lafayette, Louisiana, Christopher earned his undergraduate degree from Clemson University in 1996 and his Juris Doctorate and Bachelor of Civil Law from the Louisiana State University Law Center in 2002. After being admitted to the Louisiana bar in 2002, Christopher served as a judicial law clerk for the Honorable Ralph Tureau, District Court Judge for the 23rd Judicial District Court for the Parishes of Ascension, Assumption, and St. James. Christopher is licensed to practice before all Louisiana state courts, as well as the Eastern and Middle District of the United States District Courts for Louisiana. Christopher has appeared and successfully argued in State District Courts, State Appellate Court, and Federal Court throughout Louisiana. He has also successfully mediated several cases for his clients. Christopher’s work has focused exclusively in litigation, representing individuals, business entities, and insurers in a wide variety of cases, including commercial/personal auto, premises, and general casualty/personal injury defense litigation. 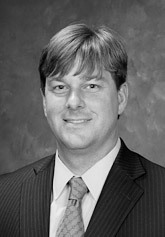 Christopher has also defended errors and omissions claims against insurance agents and their insurers, professional liability claims asserted against architects and engineers, construction claims against general contractors and subcontractors in construction litigation, as well as claims asserted against builders under Louisiana’s New Home Warranty Act. Christopher also has experience representing parish governmental entities in defending challenges to their enactment of ordinances based on various theories, including due process claims and excess takings, among other constitutional and statutory claims. Christopher is a member of the Louisiana State Bar Association and Baton Rouge Bar Association.